Send your documents to the U.S. Post Office without leaving your desk. 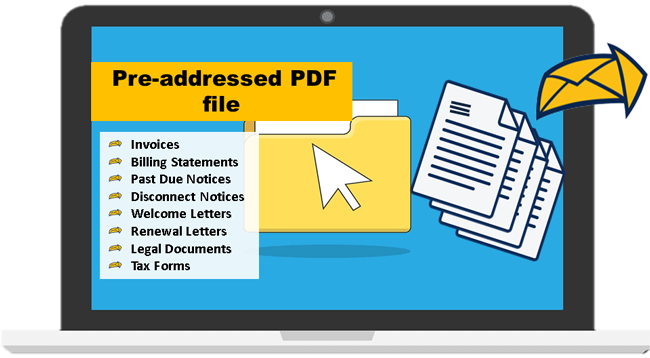 DocuSend works with any accounting, billing or CRM software that produces documents containing a valid mailing address. Add a remittance envelope without adjusting your template. Make invoices and documents pop. Highlight important info, showcase logo, and use graphics to enhance messaging. Track and verify delivery for mandated or sensitive documents. Communicate with customers at a fraction of the cost of a separate mailing. Upload PDF, PNG, JPEG or JPG files. Why mail multiple envelopes to the same address? 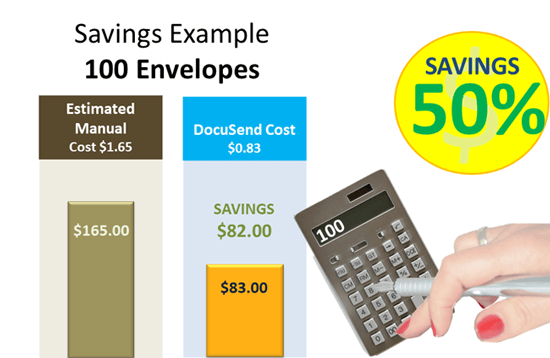 Combine same addresses in a single envelope to save money. Mailing from a foreign country to a US location? Drastically cut postage rates and delivery time by mailing from within the USA. Mail from USA to any foreign country. Send foreign mail for only $0.73 more per envelope. Be sure to include the country as the last line of your address. Access complete history of your mailing acivity, including an image of every document mailed in the last six months. Send your documents to DocuSend instead of your printer. Become a partner and add a “Send U.S. Mail” button to your invoice software. 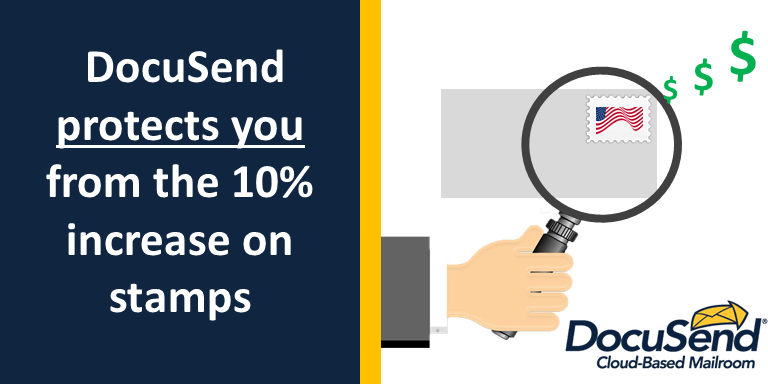 Who Can Benefit from DocuSend to Print & Mail Documents? There are enormous advantages for any business or organization that needs print-to-mail services.